As we approach the end of the World Cup, we take a look at who the payments winners of the competition are. 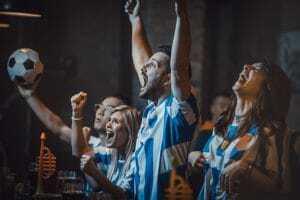 Visa, the official payment services partner of FIFA, recently announced that in the opening games of the World Cup, one in five payments were made using contactless technology in the stadiums. This is a high figure, although fans were limited in their payment choice by only being able to pay for items using Visa payment instruments or cash, so the question is what are the other 80% of people using to purchase items? According to the recent G4S World Cash Report, Russia, like many other countries, has been experiencing a sharp increase in card and digital payments over the last few years so undoubtedly a proportion of the remaining 80% will be chip and pin transactions. However, the same report revealed that Russia also saw a growth of 54.9% in the value of cash withdrawals between 2012-2016. 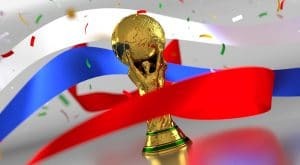 With the World Cup’s injection of £10 billion to Russia’s GDP and levels of unemployment lowering, people are simply consuming more, using both cash and cards as payment methods. Visa’s report revealed the majority of spending in the host cities fell into lodging, fashion and restaurant categories, items for which cards are typically used, leaving cash to pay for smaller purchases. With just under half of ticket-holders living in Russia, many small businesses refusing card payments, and given the growth in cash usage, it is safe to assume that whilst Visa are seeing impressive levels of contactless transactions, cash is also playing an important role in the event. In fact, the Bank of Russia has highlighted the importance of cash by to commemorate the World Cup. 20 million banknotes were issued, reaching all regions of the country by the end of June.The new banknote will be a legitimate means of payment. However, when designing the banknote, the Bank of Russia assumed that fans would purchase it primarily as a souvenir. Further investment in the Russian rouble is planned, with polymer banknotes scheduled to replace existing currency over the next few years. In summary, cash still plays a crucial role in Russia, and there is no danger of it being forced to the side-lines anytime soon.